Aviva funded inclusive playground now open in Souris, PEI. See it on Canada AM! Aviva Community Fund grand prize national winner Souris Consolidated School has just opened their new inclusive playground. See it on Canada AM at this link (there are 2 different segments here). 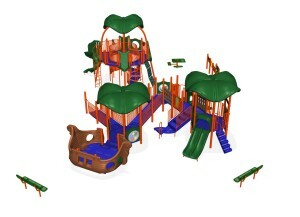 The beautiful playground was designed by Scott O’Reilly of PlayPower Canada in consultation with the school. You can also read about how the project came to be at this article from The Guardian.